At its core, Visa’s history and success as a leading payment company is based on the idea of creating and revolutionizing digital currency. 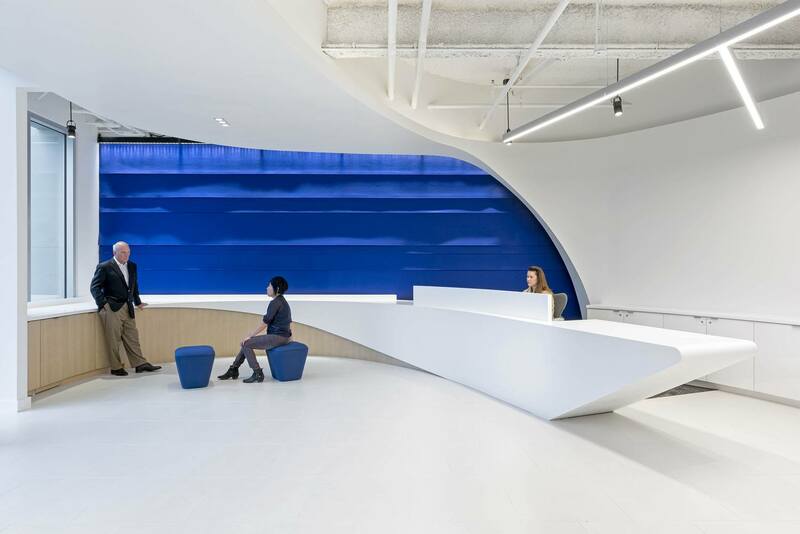 They wanted to establish a location that would focus on accessing cutting edge talent aligned to high-end innovation and product development. This 62,000-square-foot, ground-up office development is a departure from Visa’s typical campus project because of its location in a neighborhood of single-family homes and condominiums. 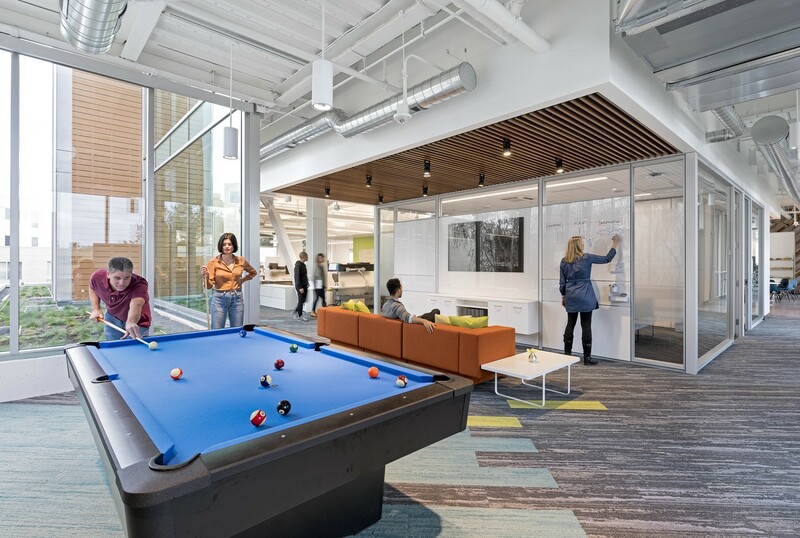 A key factor in selecting the site was its proximity to public transportation, connection to Stanford University, and the surrounding community of inspiring and inventive minds. 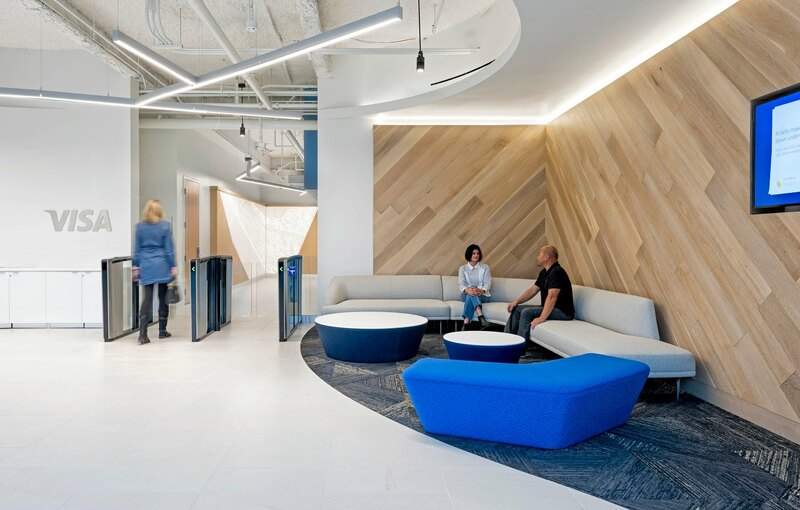 After meeting with the Visa team and touring their site, our design team was particularly inspired by Palo Alto’s (which mean’s “tall tree”) tree-lined streets and surrounding native tree population, which helped drive the design theme for the new office. From the lobby to the top third floor, we placed elements of wood and other materials that simulated the effect of roots, tree trunks, and leaves on branches. 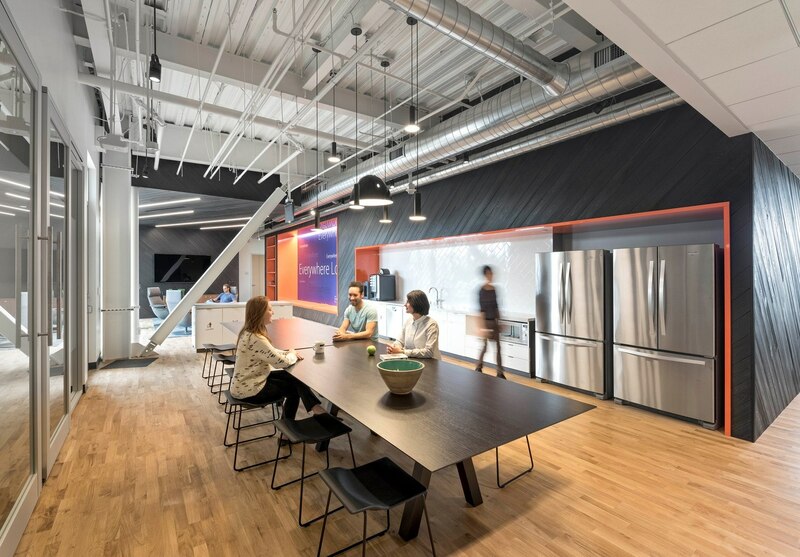 Our team also creatively addressed concerns around acoustics, technology infrastructure, and security of the space in an open office environment. 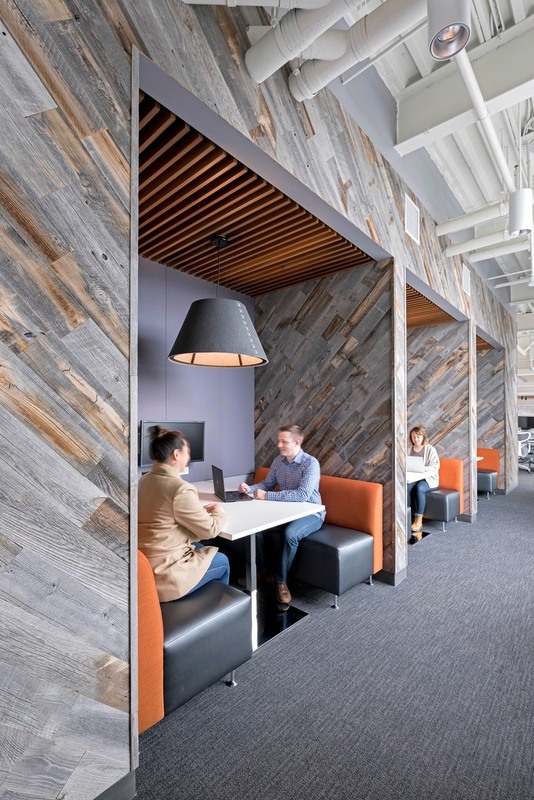 To provide the required “quiet” purpose of the space, soft sound ceiling panels, customized acoustical textiles, carpet, rubber tiles, and DIRTT wall systems were strategically installed throughout. While meeting their programming needs, we added clever touches and a bit of the unexpected. The result is a workplace of which Visa is both very proud and very excited. The design team listened to our needs and requirements, and did not try to insert their own agenda into the project. The end result was the delivery of a beautiful space that exceeded our expectations. 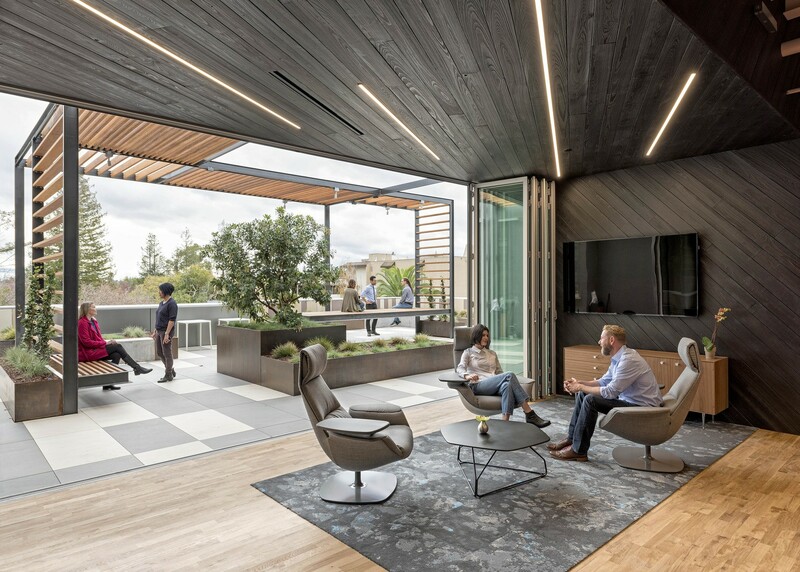 The Palo Alto office offers a great combination of sophisticated technological elements, functional workspaces, and informal gathering areas, along with an infusion of natural elements to help tie the space to the local environment.